If I use a Deep conditioner that was a mixture of moisture and protein I don’t follow up with the light protein treatment. I have been shampooing with a moisturizing shampoo every other week. Once I have more time on my hands I’ll be back to my regular wash day process. You may ask if my hair is losing any benefits but skipping one step in my wash day? I don’t think so because (1) my hair is still been cleaned, (2) I have been using moisture & protein in my rotation of products which means my tresses are still balanced. Have you made any changes to your Wash day or Regimen recently? I gave up the in & out the shower thing a long time ago! I love DCing on dry or damp hair! I am with you and courtnea on this. I have given up the hop in hop out ages ago too. the only time I do the full wash day is when am protein treating and clarifying my hair. I feel it takes even more than 3 hours for a hope in and out wash day! 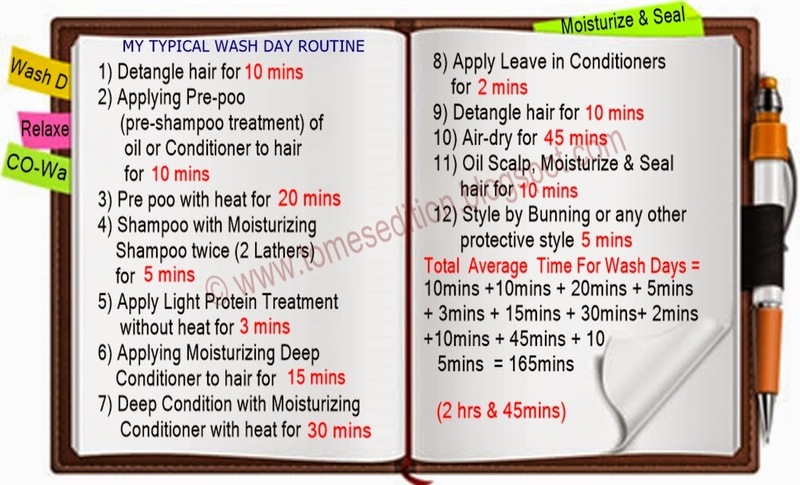 I have not been pre-pooing like I used to, I am using more conditioners that has both moisture and protein every wash so that I don't have to condition twice and I blow dry instead of air dry most times. I don't always wash weekly, more like 7-10 days now, my wash days take place in the wee hours of the morning so its either skip a few steps or not wash at all and you know that is not an option.